Mowing is a practice that requires more effort among the lawn care practices. When you have a large yard, pushing a traditional lawn mower can make you r﻿﻿un ﻿﻿ou﻿﻿t ﻿﻿of energy and make you give up immediately. In this case, a self propelled lawn mower may be a better solution since it can move forward automatically. More importantly, you will not have to push it anymore. It sounds good, right? But the price of a self propelled lawn mower is not cheap, and you should consider carefully before choosing a suitable one for yourself. That is the reason why I wrote this article: Best Self Propelled Lawn Mowers 2019: The Ultimate Buying Guide And Reviews. In this post, we would like to introduce some useful information to choose a good one, as well as recommend 10 top-rated self propelled lawn mowers of 2019. The purpose of this review article is to help your shopping become easier, and we hope that you may find it useful. How Does a Self Propelled Lawn Mower Work? Why Should You Buy a Good Self Propelled Lawn Mower 2019? Self propelled lawn mower is a type of walk-behind mower. Instead of being pushed by the user, the self propelled lawn mower is equipped with an engine and a transmission system, which means the mower can slowly move forward and mow the lawn. This is the favorite type of lawn mowers of many gardeners because it has a reasonable price and effective performance. The self propelled lawn mower has a drive system that helps it run and mow the lawn. By squeezing the handle bar, the drive system will be engaged and make the mowing blade spin. While cutting grass, this type of lawn mowers also automatically moves forward. That means you will not need to spend too much effort pushing it like other traditional push lawn mowers or reel mowers. That is the reason why we call it a “self-propelled” machine. Once you squeeze the bar, the mower will turn on and start to do its work. Your job is to hold it and guide it in the direction you want. In addition, when you release the bar, the mower will stop mowing. Indeed, the first advantage of a self propelled mower we should mention is the efficiency. With a good self propelled lawn mower, you will never have to worry about the large mowing areas anymore since the self propelled lawn mower will help you cut the grass well within a short time. Besides that, this type of lawn mowers is designed to move forward automatically, and it does not require the user to push it. As a result, you may not get tired of pushing it when you use it to mow a complicated or an uphill terrain. The self propelled mower will have a compact design, so you can maneuver easily and use it to mow a small area without any problems. Besides that, the drive system of this lawn mower helps us to mow effectively in medium sized areas. Therefore, whether you have a small or medium sized yard, this lawn mower is suitable for you. The self propelled lawn mowers usually have the 3-in-1 feature. It means those self propelled lawn mowers can perform as a mulching, bagging or side-discharge lawn mower. This feature helps to improve the efficiency of the system significantly. Besides that, some features also make the mowing task much easier. For example, the mowing speed control system, or the adjustable handle of some self propelled mowers, allow us to customize the speed and the dimension we want so that we can work with it for a long time without getting tired. Based on the fuel resources, we can categorize this type of lawn mowers into two types including the gasoline self propelled mower and the electric self propelled mower. Here are some specific information about each of them. However, this type of self propelled mower has its own disadvantages. The fuel tank is limited, so when the mower runs out of gas, it will stop immediately without notice. Therefore, you may need to go back to the storehouse to get more fuel or bring some extra tanks of gas for the whole mowing session. Besides that, some gasoline self propelled mowers can only use its own fuel, so you will have to pick the right type of gasoline in order to make sure that nothing can cause damage to your mower. Finally, gasoline mowers require regular maintenance after 1 year of usage. All the components have to be checked frequently and repaired occasionally. One of the advantages of the gasoline self propelled mower is the powerful engine. It helps to create the great drive and the stable blade speed. If you want to mow your yard in a short time but still ensure the nice cut, then the gas self-propelled mower may be your first choice. Besides that, gas engines are more durable than the electric engines and with a good maintenance schedule, you can make sure that your mower will be able to serve you for a long time. Unlike the gasoline self propelled mower, the electric self propelled mower is known for its lightweight, silent operation and easy storage. There are also two common styles of electric self propelled mowers including the battery lawn mower and the corded lawn mower. The corded lawn mower is more suitable for a small size yard; meanwhile, the battery lawn mower is suitable for both small sized and mid-sized yards. The engines should be powerful enough to satisfy your demand capacity. It’s not too hard to find a lawn mower that has a suitable engine. You just need to tell the experts or the salesmen about the dimension of your yard, and then ask them for advice. Besides that, a good self propelled mower must have a durable engine that can last for a long time with less repair costs. You can simply buy the lawn mower that has an engine of a well-known brand, such as Honda, or ask someone, who has already had the experience with a lawn mower, for advice. The drive control system is a very important part of a good self propelled lawn mower since it significantly affects to the users comfortability. With a self propelled mower, you cannot adjust the mowing speed. You may feel exhausted when chasing it or tired of walking slowly. That is the reason why you should choose the mower with an easy to use drive control system. With it, you can mow your lawn for a long time without getting tired. Currently, on the market, there are some self propelled mowers with advanced features that can perform as a bagging, mulching and side-discharge lawn mower. With this type of self propelled mower, it not only makes you feel more comfortable when working, but it also helps to reduce the mowing time, which increases your performance. That is the reason why I tell you it is an indispensable part of a good self propelled lawn mower. After reading the information above, you may clearly understand the advantages of a self propelled lawn mower as well as some criteria of a good one. 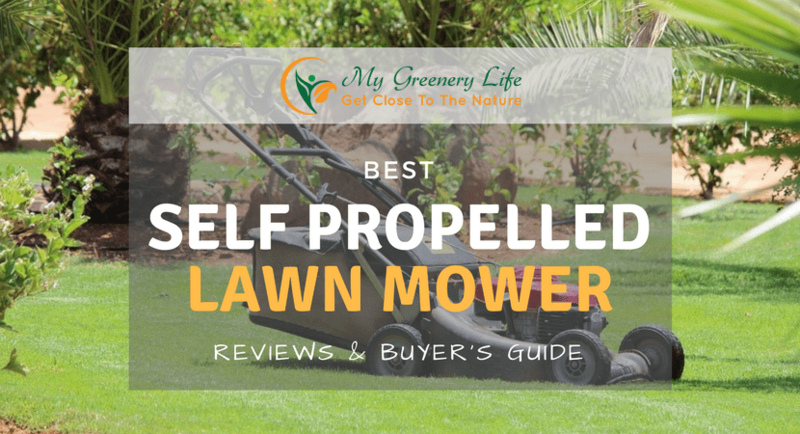 So, if you decide to find a good one for yourself, then we can help you by recommending 10 best self propelled lawn mower reviews 2019 below. Take a look! Troy-Bilt TB330 is an easy to use self propelled lawn mower since it has the ReadyStart system. You can start it easily with only pulling the cord one time, and then the ReadyStart system will do the rest. 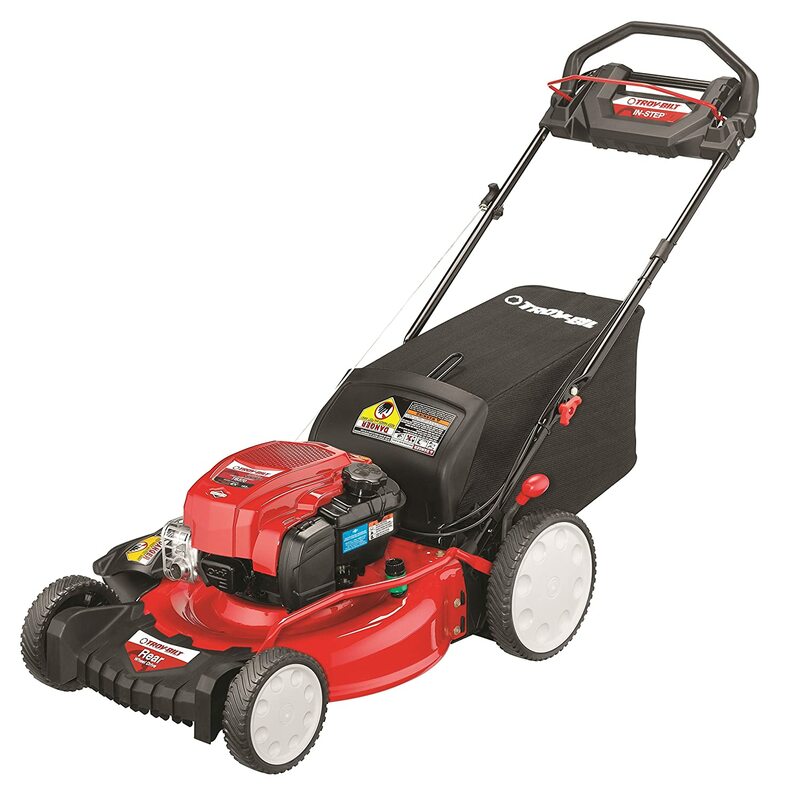 If you buy Troy-Bilt TB330 163cc 21-inch 3-in-1, you will never have to get tired when trying to start it. This type of lawn mower is especially suitable for women who usually have trouble with the pull cord. That is the reason why I will strongly recommend to consider Troy-Bilt TB330 163cc 21-inch 3-in-1. I was impressed a lot by the customization capability of this lawn mower. The variable speed drive control system of Troy-Bilt TB330 163cc 21-inch 3-in-1 helps us customize the mowing speed so that we can find out the most suitable speed for ourselves. Besides that, the adjustable handle of this lawn mower allows us to mow with a comfortable position. So, with these features, we can use this self propelled mower for a long time without getting tired. 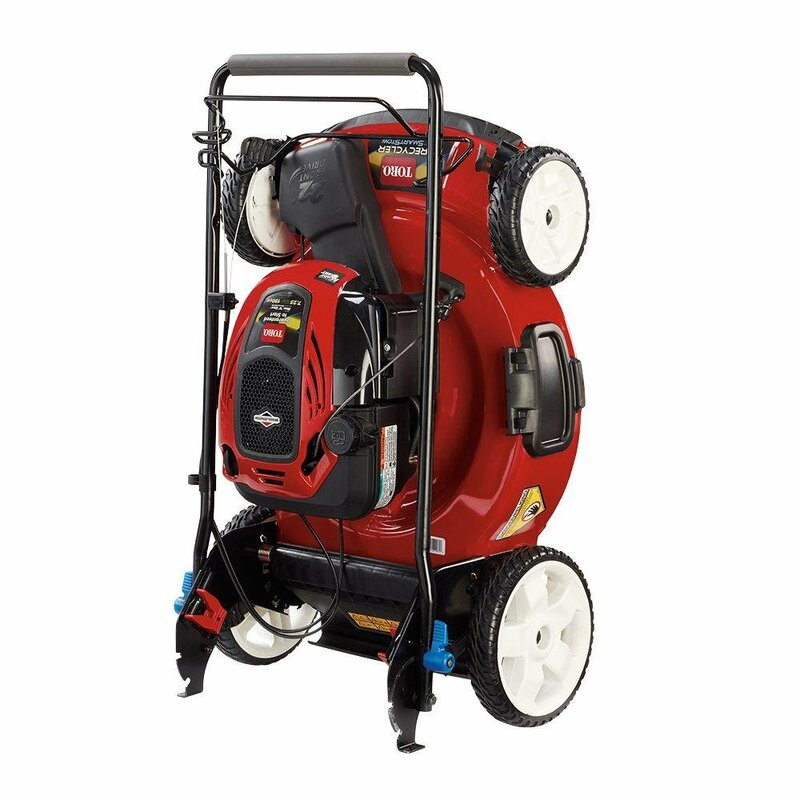 The highlight of Troy-Bilt TB330 163cc 21-inch 3-in-1 is the combination between the integrated deck wash and the ReadyStart system. This combination will provide the lawn mower the ability to adjust the mixture of fuel and air automatically so that this mixture can reach the most appropriate rate. Thereby, the performance of Troy-Bilt TB330 163cc 21-inch 3-in-1 will be maximized. Another advanced feature of Troy-Bilt TB330 163cc 21-inch 3-in-1 is the TriAction complete cutting system. This system will handle the grass clippings through three steps: lifting the grass up with a rake bumper, finely cutting the grass with a specially designed blade and then creating a superior grass flow with a symmetrical deck. These steps help us to avoid the clumping and avoid patches in our lawn. 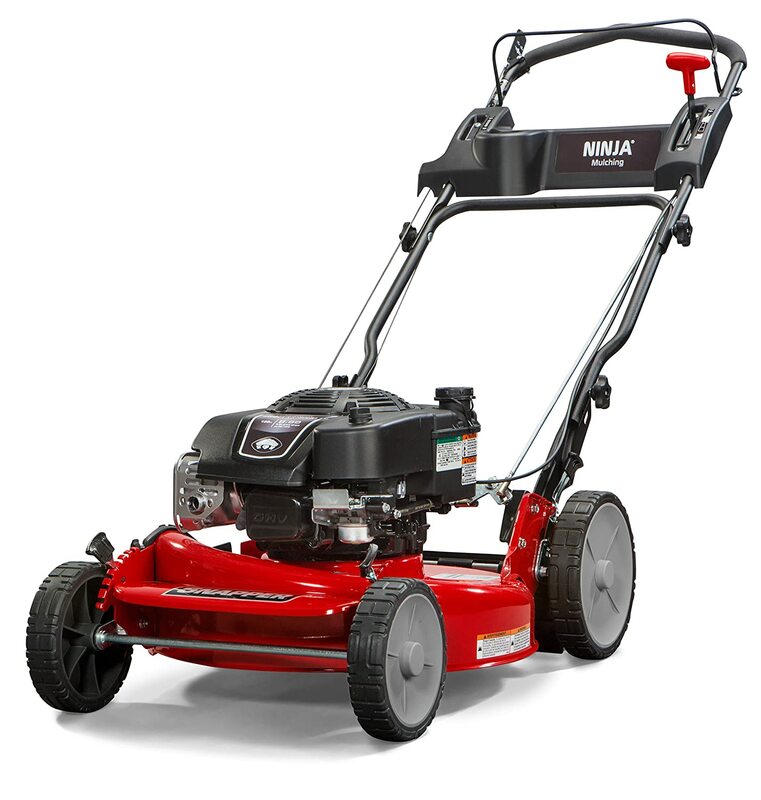 Finally, the efficiency is the last thing I would like to mention about Troy-Bilt TB330 163cc 21-inch 3-in-1. With the 21-inch cutting deck, the mowing speed can be increased significantly. Besides that, this lawn mower can perform multiple functions such as, mulching, bagging and side discharge. It’s easy to see that with this lawn mower we can save much more time and effort. It is the reason why I would like to tell you this is a good lawn mower that is worth a try. The mower being “easy to use” is the most impressive advantage, which made this Snapper lawn mower become one of the best self propelled lawn mowers on the market nowadays. With the Briggs & Stratton 850 professional Series engine, you can start this machine easily without getting tired because of choking or priming. Just pull the cord and start mowing. Not only that, this engine is also powerful and durable. That is the main factor of the reliable performance of this machine. The maneuverability is another highlight, which significantly contributed to the “ease of use” of Snapper RP2185020 / 7800981 NINJA. The smooth-turn differential system of this machine allows us to maneuver easier on complicated terrains. Moreover, with the 10-inch rear wheels of the rear wheel drive system, the traction of Snapper RP2185020 / 7800981 NINJA will increase dramatically. Therefore, using Snapper RP2185020 / 7800981 NINJA, you will be able to mow on uphill terrain, wet or thick grass without any trouble. Snapper RP2185020 / 7800981 NINJA is also one of the best self propelled mowers, which has the great mulching ability. This machine was equipped with the special design blade with six cutting surfaces. This blade can easily turn the grass clippings into fine pieces and leave them on the ground. This natural mulch is very good for your soil since it adds more nutrients and enriches your soil naturally. The popularity of this Snapper lawn mower also comes from the flexibility of it. This machine has an adjustment handle, which will allow you to change the cutting height within seven different positions (from 1.25-inch to 4-inch). This feature can help you mow different kinds of grasses with various heights easier. Therefore, what ever type of grass you have, Snapper RP2185020 / 7800981 NINJA will be able to satisfy your needs. The 21-inch cutting deck of Snapper RP2185020 / 7800981 NINJA is the last thing I would like to mention. With the large 21-inch cutting range, you can mow faster with this machine. Therefore, you can save much more time and effort. Besides that, this cutting deck was made of stamped steel. Along with the solid steel front Axle, they created a durable structure, which will be able to provide a reliable performance. After all, you can see that there are many advantages you can earn, when using Snapper RP2185020 / 7800981 NINJA such as flexibility, ease of use, reliability… Not only that, the 3-year warranty is a great addition of the manufacturer. I think that there is nothing to worry about when choosing this machine. Having a great cutting system is the highlight of this representative of Troy-Bilt brand, in the list of top self propelled lawn mowers 2017. With the Tri-Action Cutting system, this lawn mower can create a clean cut with only one pass. Besides that, with the cutting range up to 21-inches, you can mow faster when using this machine. Therefore, your working efficiency will be increased dramatically. Moreover, you can easily adjust the cutting height of Troy-Bilt TB370 163cc 21-inch within 6 positions, from 1.25-inch to 3.75-inches. This feature allows you to change the cutting height flexibly. As a result, whatever type of grass you have, or how tall it is, you still can mow it easily with Troy-Bilt TB370 163cc 21-inch. I was also impressed a lot with the engine of Troy-Bilt TB370 163cc 21-inch. The combination between 163cc Briggs & Stratton engine and the ReadyStart Choke System can help you start this machine easily without priming. Besides that, Briggs & Stratton engine also can provide you powerful and reliable performance for a long period of time. The quality of Troy-Bilt TB370 163cc 21-inch is assured with the 2-year warranty of the manufacturer. So, I think there is nothing to worry about when choosing this machine. Flexibility is another advantage which made this machine become one of top self propelled lawn mowers on the market nowadays. The system of Troy-Bilt TB370 163cc 21-inch has an “In Step variable speed drive” function, which can adjust the mowing speed according to your steps. This function allows you to control the mowing speed better, therefore; you may feel more comfortable, and your efficiency will be improved when using this machine. Besides that, this is a multi-function self propelled lawn mower, which can perform three functions, including mulching, bagging and side discharge. You also can switch between each function easily according to your needs. 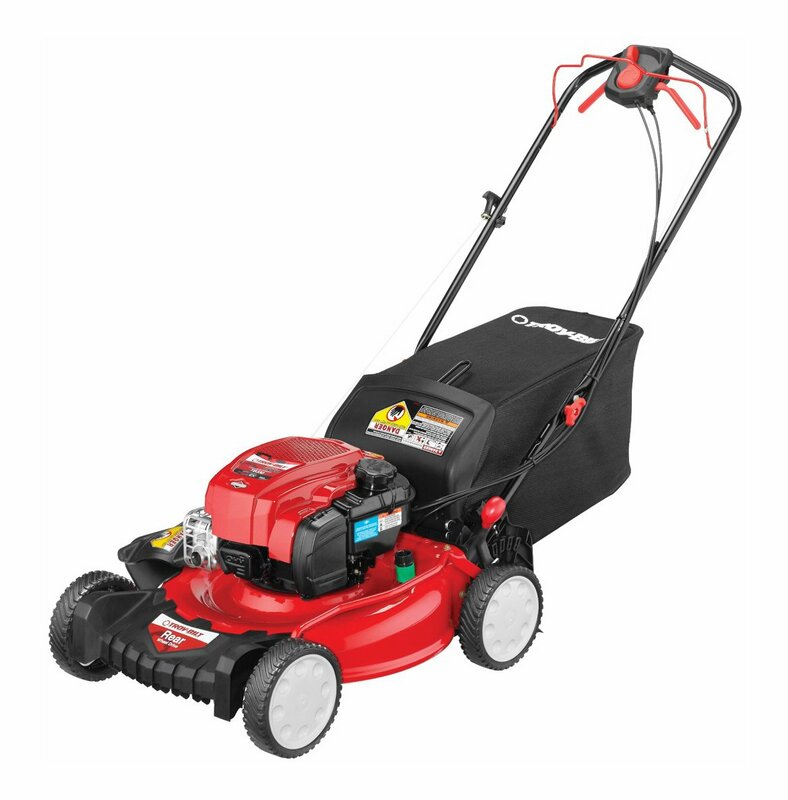 The last thing I would like to mention about Troy-Bilt TB370 163cc 21-inch is the compact design and the weight of it. With the dimensions around 18 x 24 x 39 inches, this machine will not take too much space in your warehouse. And with 90-pound weight, it is not too heavy to maneuver when mowing. After all, we can easily see that this lawn mower has many advanced features. It can satisfy most of your demands, and in my opinion, it’s worth a try. The most impressive thing of Snapper P2185020E / 7800982 HI VAC is the bagging function, which can give you a very clean yard after mowing. One of the reasons of this outstanding performance is the HI VAC mower deck, which was equipped with a unique blade and rolled deck edge. This structure can create a strong suction because it has the same mechanism with a vacuum machine. Therefore, using this lawn mower, you will have a completely clean yard after mowing each time. If you are a fan of the bagging lawn mower, I think this is the most suitable self propelled lawn mower for you. Besides the great bagging function, Snapper P2185020E / 7800982 HI VAC also brings more options to the users with the side discharge and mulching ability. The 3-in-1 feature of Snapper P2185020E / 7800982 HI VAC allows us to use it flexibly. So, you can always choose your preferable function easily, depending on your situation and demand. The Briggs & Stratton 850 professional Series engine is another highlight of Snapper P2185020E / 7800982 HI VAC. This engine possesses the advanced features of Ready Start technology, which can provide you a reliable and durable performance during a long period of time. Besides that, with the ready start system, you can start it easily without priming or choking. Moreover, this engine operates very quietly, so you can mow your lawn anytime without worrying about complaints from your neighbor. “Easy to use” is the last advantage of Snapper P2185020E / 7800982 HI VAC that I would like to mention. The rear-wheel drive system with 10-inch rear wheels can improve the traction when mowing; therefore, it can help us maneuver easier on complicated terrains. Not only that, you can also adjust the cutting height of this machine easily within 7 positions (from 1.25-inch to 4-inch) just using the adjustment handles, and you can use Snapper P2185020E / 7800982 HI VACto cut different heights of grasses without any trouble. After all, you may see that Snapper P2185020E / 7800982 HI VAC has many advanced features, and that is the reason why I decided to put it in the list of top-rated self propelled lawn mowers. As the other machines in this list, Snapper P2185020E / 7800982 HI VAC also has a great warranty of the manufacturer, including 3 years residential use and 90 days commercial use. So, there is nothing to worry about when choosing this machine, right? 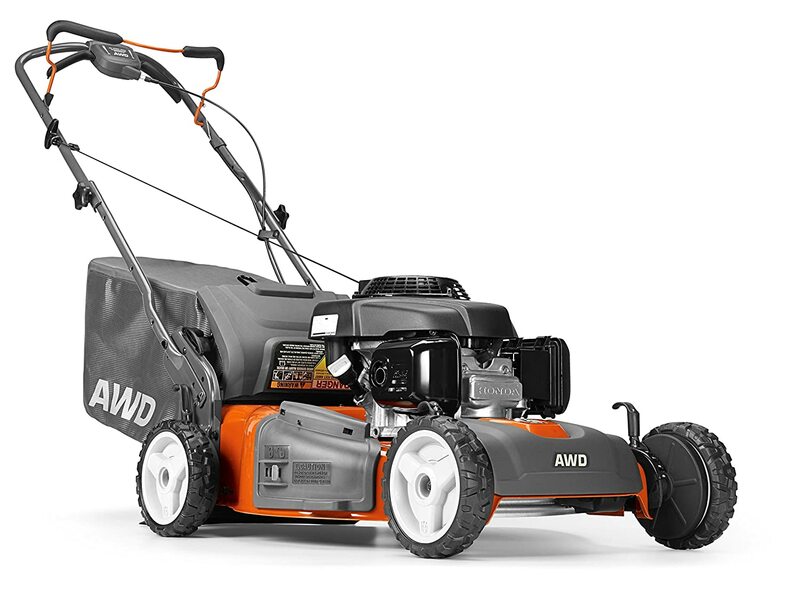 Husqvarna 961450020 HU700AWD Honda GCV160cc is not only powerful, but it is also a durable self propelled lawn mower, since it has the Honda gcv160-160cc 4 cycle engine. We all know about the reputation of Honda engines. They are very durable and have an amazing longevity. So, if you choose Husqvarna 961450020 HU700AWD Honda GCV160cc, you may save a lot of repair and maintenance costs. If you have many demands and you need a self propelled mower that can perform multi-functions such as mulching, bagging or side discharge, then Husqvarna 961450020 HU700AWD Honda GCV160cc is suitable for you. With a few simple steps, you can move between each function as easy as you wish. It’s such a convenient and useful machine. That is the reason why I recommend to choose this type of self propelled lawn mower instead of other ones. Efficiency is another highlight of Husqvarna 961450020 HU700AWD Honda GCV160cc. With the 22-inch cutting deck, your cutting speed will increase significantly. Besides that, the auto walk self propelled system helps you control the mowing speed easier. All of these advanced features contribute to creating a comfortable experience when using this lawn mower, therefore, improving the efficiency of your task. The last thing I would like to mention about Husqvarna 961450020 HU700AWD Honda GCV160cc is the maneuverability. We can use it to mow various kinds of terrain effectively since it has a wheel drive 4x4 of Husqvarna which was developed specifically for mowing on complicated terrain. 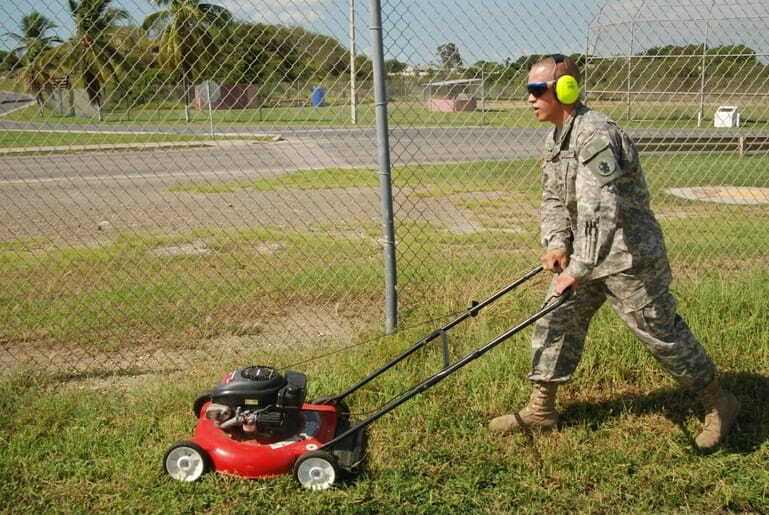 So, if the terrain of your lawn is rough, you should consider this lawn mower first. 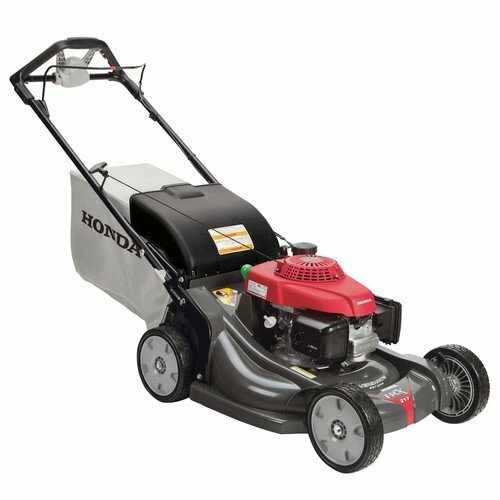 Honda 21” Electric Start is a fantastic self propelled lawn mower since it is very easy to set up and use. You just needed to pour the oil in the engine, flip up the handle, add gas and start with the pull start first. After the battery is fully charged, you could try the electric start, turn the key, and the mower could start right up. 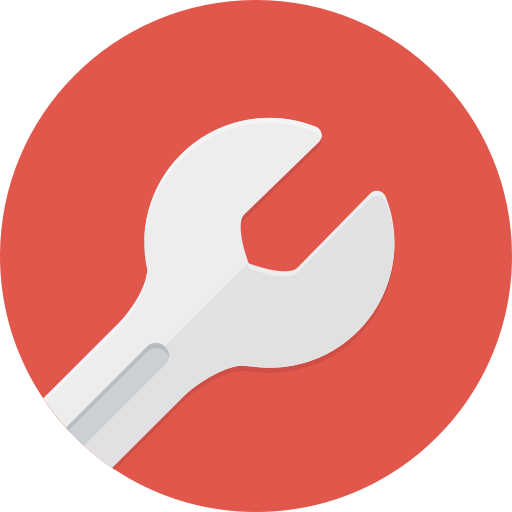 The height adjustment feature allows users to choose the perfect cutting height for their lawn. You can set the height anywhere between 1 1/8” to 4”. It can handle any types of grass. 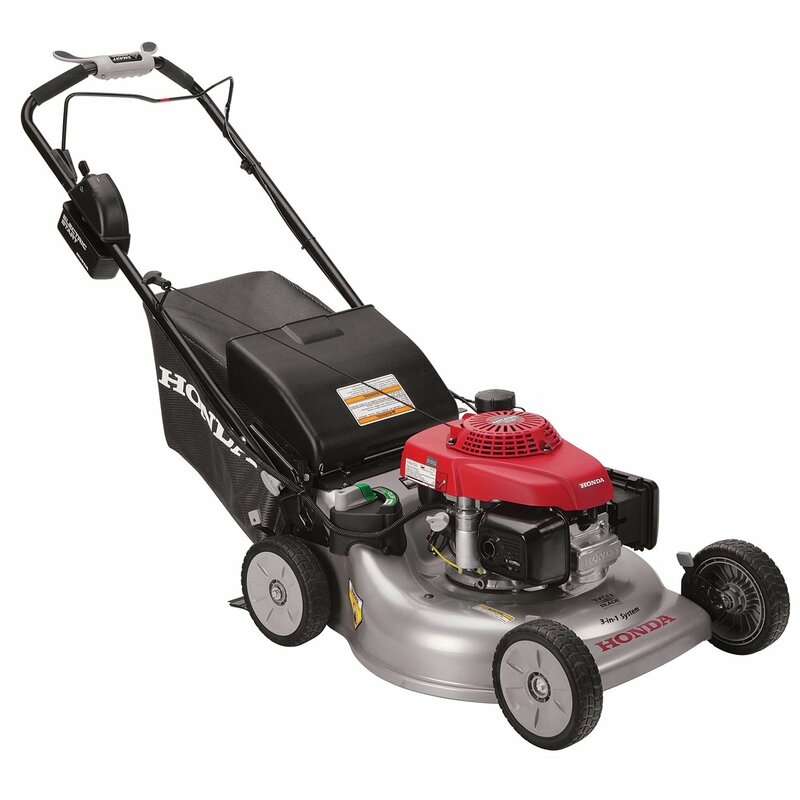 Honda 21” Electric Start is powerful and can cut very nicely and evenly. In both mulching and bagging options, it all worked fine. The grass clippings were cut so small that they help to reduce the taken space in the bag, therefore; it could bear more grass clippings than usual. 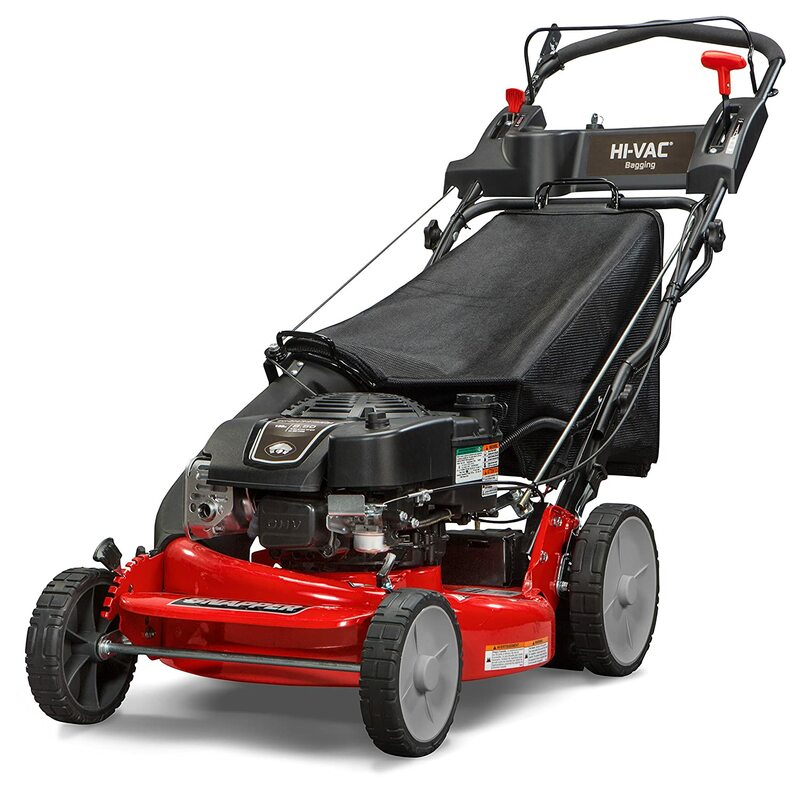 Besides that, the MicroCut Twin Blades feature is perfect for mulching, and you will be satisfied when using the mulching function of Honda 21” Electric Start. You may love the handle of this lawn mower since it is very comfortable for you while mowing. Besides that, with 2 folding positions, you can easily fold it over to store in the garage corner. A cool aspect of this model is that you only need to use your thumbs to adjust the speed. Yes, simply move your thumb between the controls (from 0 to 4 mph). You can choose any speed you want to walk the mower: from a leisurely walk to a brisk walk. So good, right? This Honda model is designed with a steel deck that is extremely durable. The steel deck adds lots of weight to the mower, so you may have to work a bit harder in sloping areas. With a mower that lasts for a lifetime, it’s just a minor issue. To sum it up, I can say that the Honda 21” 3-in-1 Self Propelled mower works amazingly, and it is well worth the price. I definitely recommend this mower because it is one of the best lawn mowers that I have ever seen. As stated in the name of it, Swisher WBRC11524 24 inch really is a strongest predator. This machine was created to clear almost every undergrowth on its way. 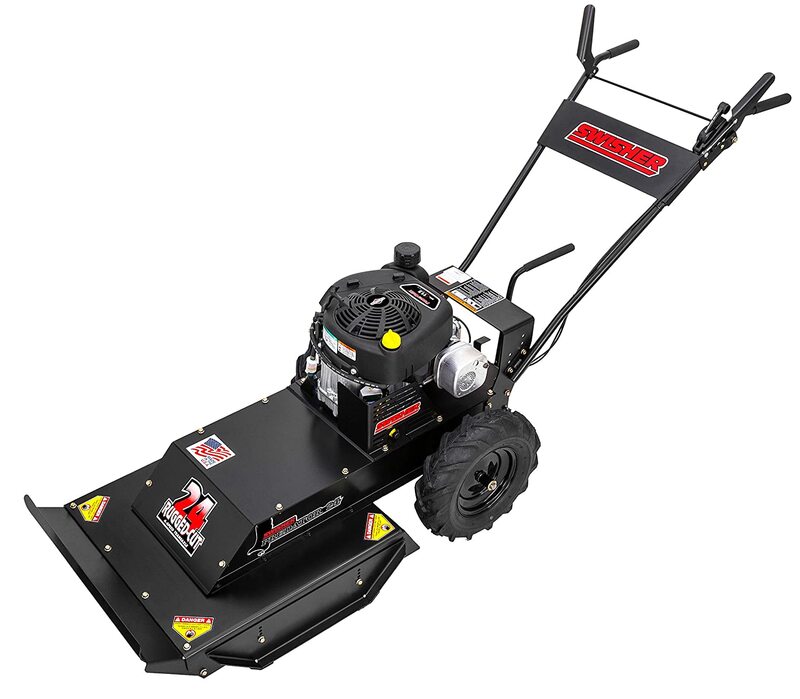 With the 11.5 HP Briggs & Stratton engine and a heavy-duty cutting system, Swisher WBRC11524 24 inch can cut through wood and every sapling with the diameter is up to 1-1/2 inch. The cutting system of this machine includes a cutting deck with the cutting range up to 24-inches and the cutting height is 1-3/4 inch. This large cutting deck will help you mow faster; therefore, it will increase your efficiency. Besides that, the hardened-steel blade of this cutting system is one of the most important factors, which contributed significantly to create a powerful cutting ability for this machine. I can say that this machine has one of the strongest cutting systems on the market nowadays, and that is the reason why we put it on the list of the best self propelled lawn mowers. Even though it is a powerful machine, Swisher WBRC11524 24 inch is still safe and easy to use. The cutting blade of this machine is enclosed to maximize the safety for users. It also has the side and front safety deflectors, which will protect the users from flying debris. Besides that, the adjustable handle bar of Swisher WBRC11524 24 inch allows you to adjust it to become suitable to your height for easy maneuverability and operation. Moreover, the large pneumatic chevron tires of Swisher WBRC11524 24 inch can improve the traction. They will help you mow easier even on the toughest terrains. The self propelled function is another highlight of this machine. With 4-speed transmission system, you can adjust the mowing speed easily and flexibly; therefore, you will be able to mow with a comfortable speed. When using this lawn mower, you will never have to feel tired because of chasing after it or waste your time with a slow mowing speed. Besides that, Swisher WBRC11524 24 inch can move backward. This function will help you escape easily from the rough spots. Finally, when you buy Swisher WBRC11524 24 inch, you will have a 1-year warranty from the manufacturer; therefore, I think there is nothing to worry about with the quality of this machine. So, if you have not cleared your lawn after a long period of time, and now you need a powerful self propelled lawn mower that is strong enough to help you do this task, I think this is the most suitable one for you. EGO 56-Volt Lithium-Ion Mower is a powerful lawn mower which can do a great job cutting the most demanding lawn while not emitting any fumes. As a self propelled mower, it is more expensive than a mower without a self propelled function. However, if you can afford this machine, you’ll probably be happy with your investment. 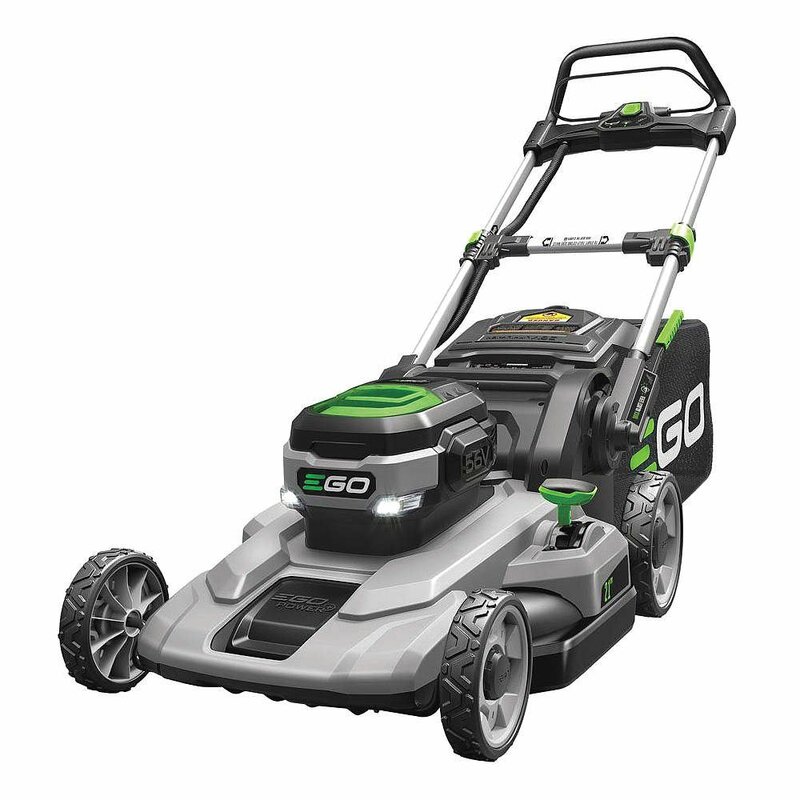 EGO 56-Volt Lithium-Ion Mower delivers long-lasting power, rapid charging and durability in all-weather conditions. The mower is so powerful that it can mow through tall and thick grass or weeded areas, even when it is wet. With a charged batter, the mower can run up to 60 minutes of cutting time. That it is quite enough to finish your whole lawn. Recharging takes maximum 60 minutes, so you don’t need to worry about the working time of the machine. EGO 56-Volt Lithium-Ion Mower makes noise, but it is still quiet enough that you can mow while your neighbors are sleeping. There is no problem if you speak on the phone or listen to music while mowing. It is a bit heavier than a push mower, yet you still can handle it with ease and can carry or hang it in the garage or a storage area without too much effort. The mower has a neat feature. It can be folded up so it takes very little storage space. EGO 56-Volt Lithium-Ion Mower provides a great mulching performance. However, if you prefer a nice looking lawn, you also can benefit from the 2 bushel grass collection bag. The EGO even offers the side-discharge option for your own needs. Another good point of the EGO 21” is that it doesn’t use gas or oil, so you don’t have to worry about refueling or oil changes, etc. Since it is battery-powered, it produces no emission. What a great feature! Last but not least, to commit the quality of the machine, the producer offers a 5-year warranty for the mower and 3-year warranty for the battery. You cannot expect more than that. If you are hesitating, just get it ! You will not regret it. This is another competitor of the Honda brand in the list of top-rated self propelled lawn mowers of 2017. I was impressed a lot by the advanced features of Honda HRX217K5VKA 187cc Gas 21 in. 4-in-1 such as the adjustable mowing speed self propelled system. 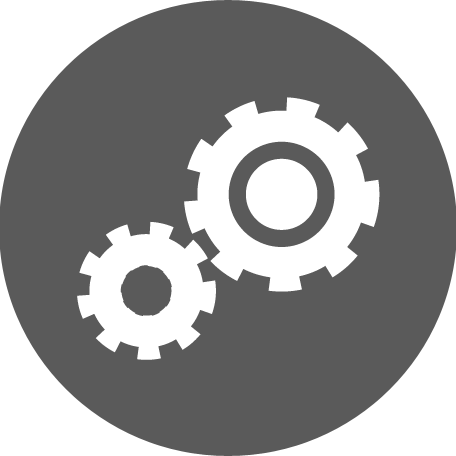 With this feature, you can easily adjust the mowing speed to become suitable for your tasks. Moreover, with the Versamow System of Honda, Honda HRX217K5VKA 187cc Gas 21 in. 4-in-1 offers you 4 options to handle the grass clippings including: bagging, mulching, shredding leaves and discharging. You can even combine between the mulching and bagging function just by sliding the Clip Director knob. All of these advanced features make this lawn mower become more flexible as well as contribute significantly in creating comfortability and convenience for the users. Besides the advanced features, Honda HRX217K5VKA 187cc Gas 21 in. 4-in-1 also provides a high quality cut for the users. Since it was equipped with a twin blade MicroCut System, it has four cutting surfaces. This system can create precise cuts and make your lawn look better after mowing. Moreover, this cutting system can also generate the fine grass clippings for mulching purposes. This natural fertilizer will decompose soon and add more nutrition to your lawn. Very convenient, right? Honda is a well-known brand for durability, and Honda HRX217K5VKA 187cc Gas 21 in. 4-in-1 is no exception. It was equipped a cutting deck of NeXite, which was made from resistant material. Therefore, this cutting deck can resist corrosion, rust and dent in an extensive period of time. Besides that, the dimension of the cutting deck is 21 inches. It is large enough to improve your efficiency when mowing on an average acreage lawn. This large cutting deck will help to decrease your mowing time and effort significantly. The GCV 190 engine is another highlight of Honda HRX217K5VKA 187cc Gas 21 in. 4-in-1. It is not only provides a powerful cut but also brings a reliable performance to its users. Moreover, it is one of the best energy saving engines, and it is very easy to start. Using this machine, your monthly fuel cost will be cut down dramatically. Finally, the 5-year warranty of the manufacturer is a reliable assurance for the quality of this machine. You can see that there are many advantages you can take when using it such as: the durability, ease of use and advanced features... Therefore, I strongly recommend this machine if you have an average acreage lawn because it is one of the best self propelled lawn mowers on the market nowadays. This is one of top-rated self propelled lawn mowers of Toro brand. The most impressive feature of this lawn mower is the excellent mulching function. With the Recycler cutting system, including the atomic blade and the front throw chamber, Toro 22 in. 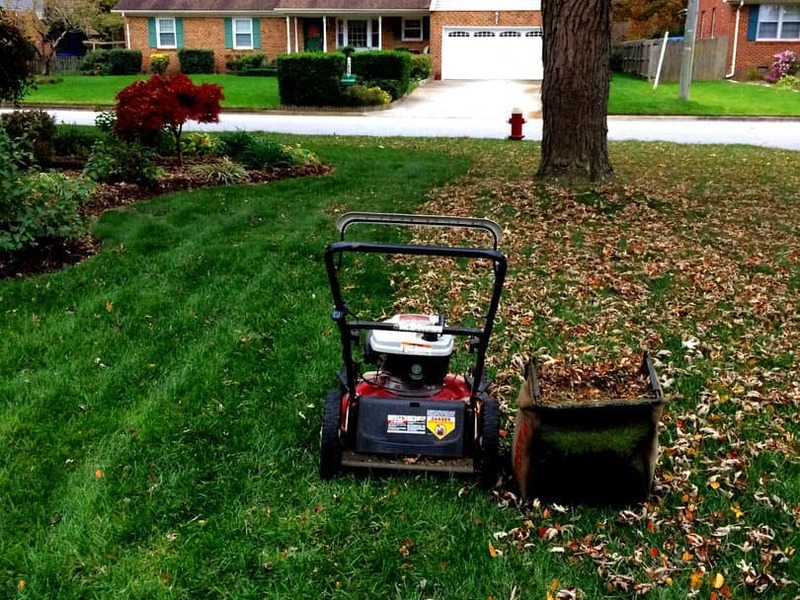 can easily turn the grass clippings into fine mulch for fertilizing purposes. The cutting system of this lawn mower also includes a steel mowing deck with 22-inch cutting width. It not only improves the efficiency of your mowing task due to the large cutting width, but it is also very durable and can stay after a long period of time. Toro 22 in. is very easy to use. Thanks to the Brige&Station 190 cc engine of it, you can start this machine easily without it choking. Besides that, the combination of the special structure of the engine and the folded handle of it allows us to store Toro 22 in. vertically. In this way, we can save the storage space up to 70%, as well as easily clean the cutting deck and blade. How convenient! The maneuverability is another factor, which contributes significantly to making this machine become one of top-rated self propelled lawn mowers. Thanks to the front wheel drive system, with the speed adjusted flexibly and the compact design of it, this lawn mower can help you maneuver easier on most complicated terrains and narrow areas. With this machine, you will not have to spend more time trimming your lawn in the narrow areas again after mowing; therefore, your efficiency can be improved dramatically. Finally, I would like to mention the flexibility of Toro 22 in.. This machine can perform multi-functions such as: mulching, bagging and side discharge; therefore, it can satisfy most of your demands. Besides that, you can easily adjust the cutting height of this lawn mower in 9 positions, from 1 to 4 inches. This feature allows you to mow various types of lawn with different heights easily. After all, there are many advantages of Toro 22 in. we can see such as: great mulching function, easy to start engine, storage space saving…. Moreover, with the 3-year warranty of the manufacturer, as well as the reputation of Toro brand, I can say that there is nothing to worry about with the quality of Toro 22 in.. It’s worth a try! Among several types of lawn mowers, I can say that the self propelled lawn mower is considered one of the most chosen pieces of equipment. The advantages of it cannot be denied. However, it still can become a dangerous source if we do not know and apply proper safety tips. When you take a deeper look at the design and structures of a self propelled lawn mower, you will find that there are potential risks behind a gook looking machine. So, for your safety, I would like to introduce some safety tips when using a self propelled lawn mower. Please take a look. It is simple, but many people ignore this simple tip. In fact, injuries could occur in the arms, hands, and feet. Therefore, before mowing, please choose appropriate protective gear first such as goggles, gloves, and slip-resistant footwear. They will help to prevent sudden injuries effectively. To minimize accidents when mowing, take a quick lawn survey before starting. In some cases, debris and rocks can cause the injuries in your arms, feet, or eyes after contacting the spinning blades. Therefore, do not forget to remove any rocks, stones, rocks or toys left on the lawn surface before mowing. Blades of all types of lawn mowers are extremely sharp! However, the self propelled mower is safe, but the people around are not. So, make sure that when the lawn mower is running, there is no one in front of it. When the self propelled mower is moving forward, if someone approaches you, please turn off the machine immediately. This also means that you should never pull it backward. At any time when you do not pay attention, that sharp blade can cut your foot. In addition, no one can tell what could happen if you lose control of your own lawn mower. Running a self propelled mower in the morning can reduce the risk of accidents. The vision in the evening is always worse than in the morning despite how many lights you turn on. On the other hand, after a long work day, your energy would not be as good as in the morning. 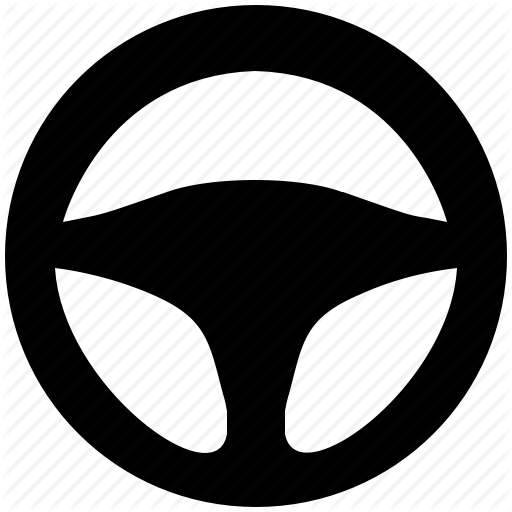 Therefore, it can increase the risk of accidents. So, you should only mow with a self-propelled lawn mower in the morning. Self-propelled lawn mowers require a proper maintenance schedule. Make sure that you have repaired all the damaged or missing parts. The covers and shields must be in the right place. When your mower is not in a good condition, do not use it until you have fixed it. Moreover, maintaining your lawn mower correctly also ensures its good performance during the mowing session. It is killing two birds with one stone. Self propelled lawn mower is not only a useful lawn care machine, but it is also a machine that can help you improve your health. By walking behind the self propelled lawn mower, you can make your body and your lawn look great at the same time. So, what are you waiting for? Let’s apply all of the knowledge and information in this article – Best Self Propelled Lawn Mowers 2019: The Ultimate Buying Guide And Reviews – to find a suitable lawn mower right now! Good information. Thanks for your buying guide and reviews so much. These self propelled lawn mowers are very good. great piece of information here, thanks a lot. Good job bro. It’s such an useful reference. Keep it up! Holy cow man. This could be the most in depth analysis on lawn mowers I’ve ever seen. Only problem? You forgot to include the best one! The Toro TimeMaster! Nice advice Jack, I will update it. Thanks!